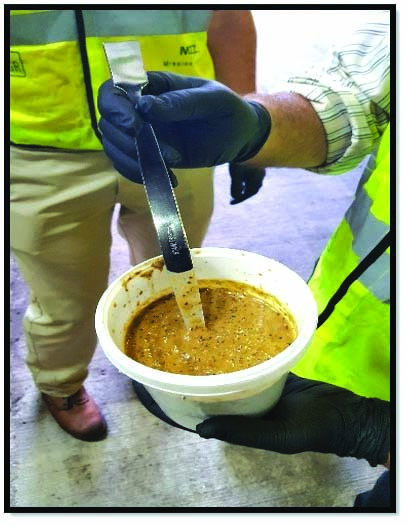 REGION — The Encinas Wastewater Authority and Waste Management have launched a 90-day pilot program of turning leftover food into renewable energy for the plant. Ken Ryan, district manger of Waste Management of North County, is excited about the program. Processed slurry has the consistency of oatmeal. The proposed Assembly Bill 1826 would require mandatory recycling of foodstuffs in the future. 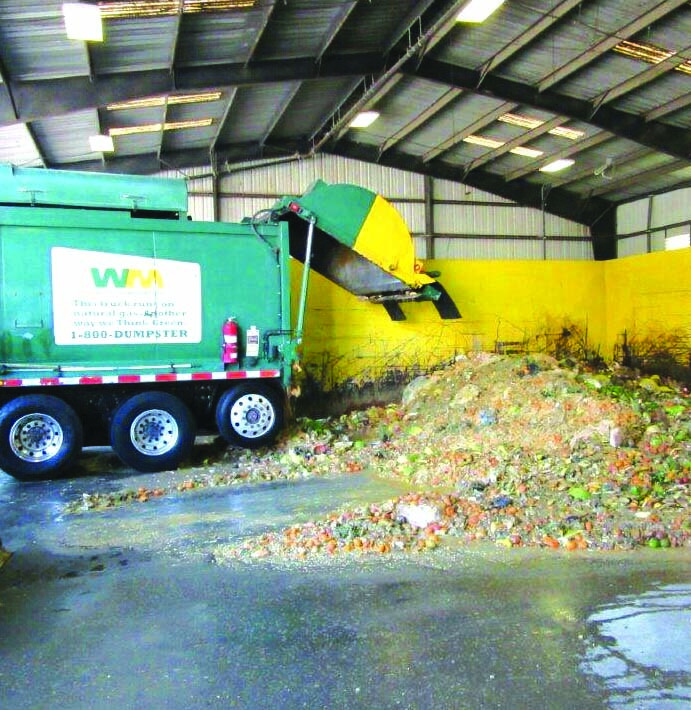 For the pilot, food waste is contributed by restaurants and other large facilities in Orange County where Waste Management’s CORe® process turns the leftovers into slurry, which is about the consistency of oatmeal. Then it is added to regular wastewater, which includes human waste and all the “other stuff” that ends up at the wastewater processing plant. Encinas officials are monitoring the effectiveness of the methane gas on its plant. Debra Biggs, director of operations at the Encinas Wastewater Authority, said the test will help decide if this is something they want to plan for in the future. Biggs said the plant is already using restaurant grease trap waste to increase the production of biogas for the plant. “We did a pilot with brewery waste and now we are trying food waste,” she said. She said Encinas is well aware of the assembly bill and is trying to be part of the solution for the state. Biggs said that in a wastewater plant nothing is wasted anymore and that Encinas treats water for irrigation, to cool equipment and to water golf courses which helps keep down the cost of buying expensive water. It wants to keep its own costs down to help give relief to the consumer. If the program is given the green light in San Diego County, local waste will be given to local processing for local closed-looped recycling in San Diego County. In the future, residents would put the food waste on the curb next to their regular trash and recyclables. Ryan said the downside is that Waste Management will have to send out a fourth truck and there will be costs associated with that, but on the other hand, it might slow the rate of increase on the trash bill. The pilot program began the end of August and will continue for 90 days.